A welcoming entry: When walking in the front door on Village Hill Road, visitors will be greeted in the lobby with a view of the students at work. In searching for a new long-term home for the school, we hoped to find a place with the conveniences of an urban space “out the front door” and natural spaces to study and explore “out the back door.” We found that elusive mix in our new home: the historic Coach House in Village Hill is about a mile from downtown Northampton, and surrounded by conserved woodlands, farmland, and a large community garden. From the new campus, students and faculty can easily access, by foot, bicycle, or by a short drive, a diversity of designed and natural spaces for educational purposes: riparian corridors and wetlands, public parks with green infrastructure, both traditional and urban agriculture, suburban residential settlements, rail-trail bike path conversions, and conserved wild lands. We are working with the contracting and construction management firm D.A. Sullivan & Sons, Inc. (DAS), a Northampton-based company with deep roots in the city and surrounding communities; DAS has worked in Western Massachusetts for over 120 years. We are also working with a team of architects from the firm Juster Pope Frazier Architects to design the 5,000 square foot space. Large windows flood the studio with light, and the floorplan is efficiently laid out to support the school’s teaching philosophy and pedagogical approach. 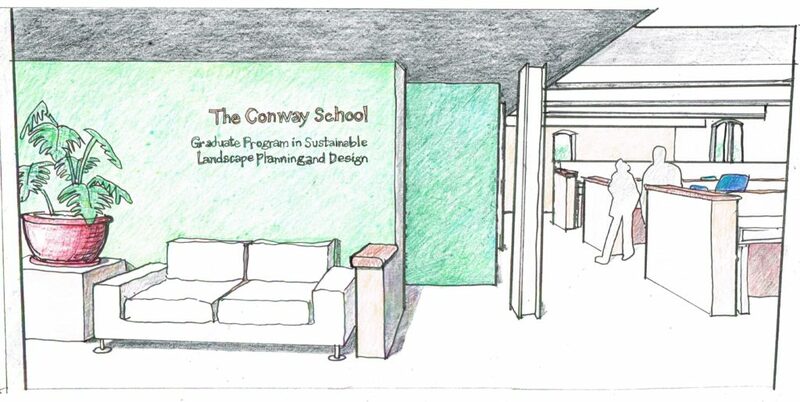 No matter the location, Conway School’s design process remains a consistent hallmark of the program and of its graduates. We are preparing to move! 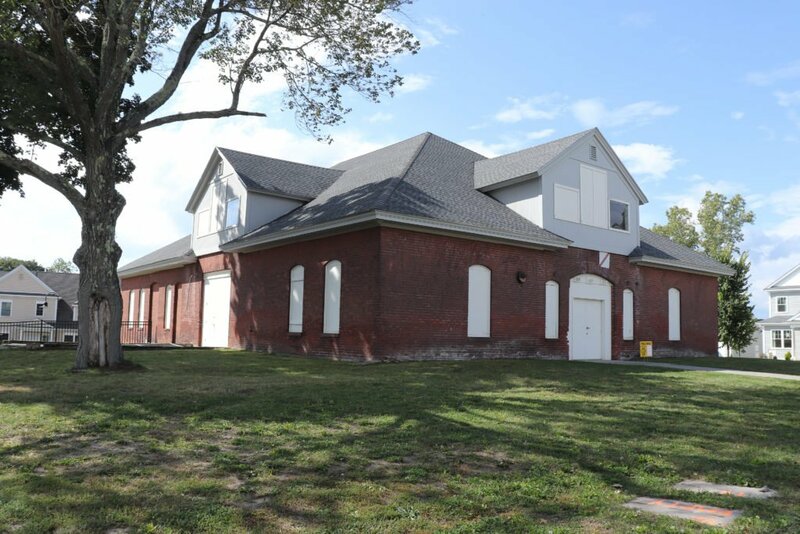 Renovation of the 1900s-era brick building – including the addition of insulation, new windows, and an energy-efficient heating system – is right on schedule. We will begin moving into the building this summer, and be up and running in our new home for the 2018-2019 academic year. The new campus is in the Village Hill community, located on the site of the former Northampton State Hospital, on the edge of Northampton’s downtown. The Village Hill community is a 126-acre master-planned mixed-use community, combining commercial, light industrial, and residential uses with open space. Within a few minutes’ walk of the Coach House are wooded trails, access to a stream, an extensive well-used community garden, and an extensive rail and multi-use trail network. The campus features views of Mount Tom and the Holyoke Range. We hope you’re as excited as we are. Save the date to join us in celebrating the grand opening of our new home on Saturday, September 29!